Are you ready to delve into ancient mysteries and uncover vast, buried treasures? Taking an expedition into lands far away and unknown, with only curiosity driving you forward, separated from civilisation by many, many miles? Getting lost in the wilderness, potentially running into hostile natives and feral animals? Hunting for lost relics sounds exotic, but there’s a great deal of negatives associated with it. Fortunately, we live in the modern era, where we can take all the fun and interesting parts, and extract them into something we enjoy playing to add to the thrill of it all. And so we have Lost Relics by NetEnt, with a 5x5 playing field that does not have actual paylines, but instead, uses cluster pays to award wins. Six or more adjacent and matching symbols will reward a win. Alongside this, there are three special features, which can be activated at random when a spin results in a winning combination. We don’t expect anything short of greatness when it comes to NetEnt’s visuals and we have yet to be let down. The reels and backdrop are poised as a top down look at an explorer’s camp which is trying to break through the stone barrier to get to the treasure that lies beneath. A crackling campfire, a rope mechanism on the right side of the reels that will allow them to climb down into the darkness, the way the stones blow up to reveal the darkness beneath where the special features lie – NetEnt knows how to immerse players. There are some downsides, but they are mostly related to symbols. As for gameplay, the cluster pays make it a bit different than your usual fare, but the absence of rolling reels kind of ruins the fun of it for us. However, to make up for it, NetEnt decided to focus on depth rather than height for this slot. Rather than having stones break apart to have new ones fall on top, instead, every winning combination has a chance of revealing one of three random special features that lie hidden beneath the stones. 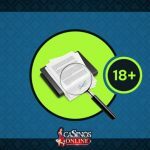 As you can imagine, this gives gamblers a lot of flexibility, and while it doesn’t have the raw fun of watching reels crumble and chaining wins together, it can be very lucrative with a lucky roll of the dice. 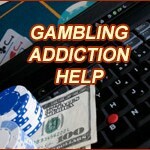 A wager between $0.20 up to $400 per spin gives gamblers a wide range of options to play around with. 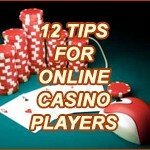 If you’re looking to score the big wins, however, you will probably do so through the free spins. There’s not much difference in them over regular spins, beyond the fact that they offer some modified versions of the randomly triggered special features, which are lucrative as it is. 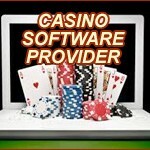 Add them in with free spins, and they can pay very well. The symbols mostly follow the same thing as what we said with the visuals. They’re split between poker card symbols and daggers, helmets, and ancient orbs and bracers. While we’re obviously not big fans of poker card icons, a small detail that really impressed us was the fact that NetEnt made the fire’s animation in the backdrop cast a shadow on the reels, beneath the symbols. It looks gorgeous and it shows the attention to detail that goes on at NetEnt. There are three special features that can be activated at random when any winning combination occurs. Coin win rewards gamblers with a win between 3x or 30x their wager, Extra Wild adds three extra Wilds to the reels and Extra Scatter, which awards an extra Scatter. During free spins, players can uncover small, medium and large chests. The first two chests are always small and medium, respectively. From them, gamblers can win Extra Free Spins, Sticky Wilds, or Coin Win, which rewards between 1x to 30x the bet. Overall, we quite liked our time spent with Lost Relics. NetEnt truly showed why they remain on top of the slot industry. Amazing graphics, fun gameplay and interesting special features all come together for a great time.